I received this book for free in exchange for my honest review. I was not compensated with money or goods, other than this book, for my opinion. 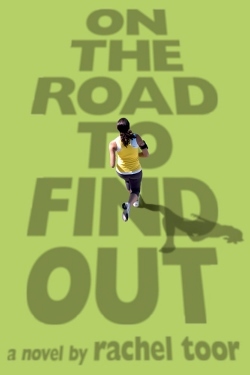 On the Road to Find Out by Rachel Toor first grabbed my attention because it was about running. More specifically, it’s about Alice, an overachiever who has just been rejected from her one and only choice of a college – Yale – and feels like her life is over. She initially starts to run as a New Year’s resolution made at her best friend’s insistence. Even though running is hard and there are days when she hates it, she sticks with it and slowly not only makes progress, but she finds community, a lot of clarity, and even a love interest. I could totally relate to being a newbie runner – feeling like you can’t breathe and thinking that you must look really ridiculous, and then slowly it becomes something that you love, something that challenges you and becomes a part of who you are. I really liked all the positivity and encouragement found in these pages – it was clear that the author loves and believes in what she’s writing about. In the beginning, I thought Alice was completely self-centered, inconsiderate, and rather whiny. I found her lists to be a little annoying, and the way she treated her BFF Jenni and her mom made me cringe. The one thing that really started making her more likeable was her love for her pet rat, Walter. What’s that you say? Ewwww, a rat? No way! Walter is a sweet and cuddly little guy, and his character is written so lovingly that, for me at least, he was a highlight of the book. Somewhere along Alice’s personal journey, I began to like her, and I was really invested in the second half of the book. It even made me cry. Twice. I really liked several of the secondary characters – Joan, the owner of a local running store, and Walter-the-Man, both of whom became sort of mentors to Alice. I also really liked the theme of taking something that is perceived as a huge personal failure and turning into something positive. I thought the ending was perfect, and if you’re a runner – beginner or experienced – I think you’ll enjoy this.